People change. Universal truths don’t. 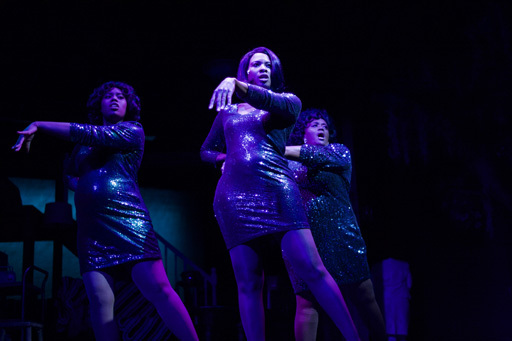 “Caroline or Change” at the Aurora Fox packages all that into a stunning show not to be missed. The popular Broadway and West End opera-musical, first produced in 2003, arrived on the Colfax stage last weekend with all the timeless aplomb of a Shakespeare staple. 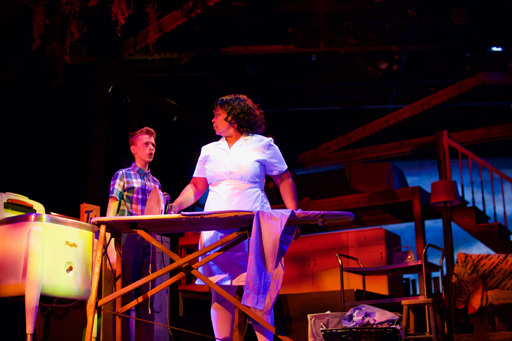 The show is about Caroline, a black maid to a Jewish family in Louisiana in the early 1960s. She resentfully toils for crappy pay in the basement of the Gellman family home. The story unfolds along with the death of President John F. Kennedy and the supercharging of the American civil rights movement. All this creates a rich background to paint a finely detailed portrait of racism. There are a host of complex images in the show relating the black American experience, but the production focuses on one: privilege. “Caroline” unflinchingly explores the issue of white privilege as a touchstone for most of the ills of American society. Rather than being preachy, “Caroline” offers sympathy as well as sharp criticism to everyone in the show. It’s almost hard to absorb the musical’s powerful and unequivocal messages because the production is such a spectacle. The libretto was written and performed as an opera. The book is sung from start to finish. For those with a phobia of Italian or German operas, it’s not. It’s an enthralling metaphorical dream. Not an easy show to produce, the cast, Director Kenny Moten, Musical Director Trent Hines and the crew masterfully create an iconic Greek tale illustrating the foibles of being human. It doesn’t mean the show is weighed down by its theme or style. “Caroline” is a delight of alluring stage conceits, like narrators. 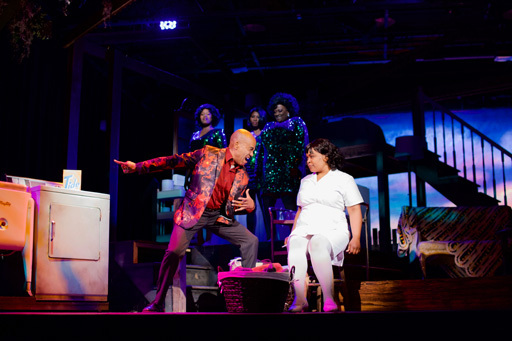 One appears as “Moon” and “Washing Machine,” played by Rajdulari, another as “Bus” and “Dryer,” played by area stage favorite Leonard Barett Jr. 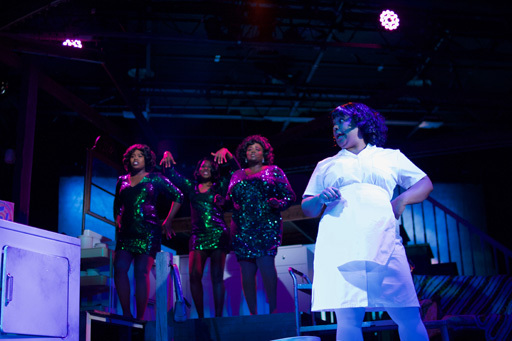 The show binds elements like a Greek chorus of Mo-Town “Radio” singers with the endless expectation of characters who believe that something better, or at least bigger, just has to come not some day, but now. And just as the cast and play push nearly too hard on a tender spot, there’s a laugh, a little relief for the audience to take a breath and move along to the inevitable end. Maggie Tisdale as Rose Gellman offers up impeccable timing and just the right comic force. She’s the perfect foil to several cringing moments that underscore how insular so many people of means are, oblivious to those without. After all these years, “Caroline” is still a compelling, relevant and absolutely entertaining show. The Aurora Fox production and cast, however, is the biggest reason to come. 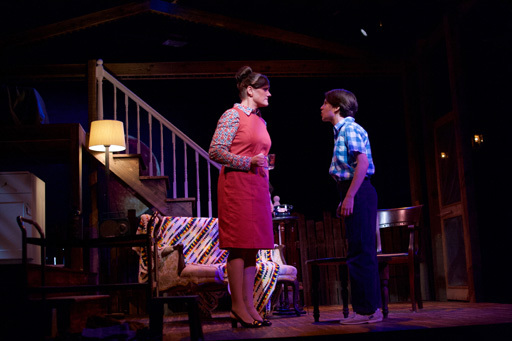 Mary Louise Lee, as Caroline, peels off one flawless song and moment after another. A force in the regional theater scene, she embodies the anguish of Caroline as the show navigates painful racist and personal rapids. Other standout performances, too, burnished the opening night show, including Sophia Dotson wowing the audience as the young Noah Gellman. Krisangla Washington pounded out a host of transfixing numbers as Emmie Thibodeaux, Caroline’s flip and insightful daughter. 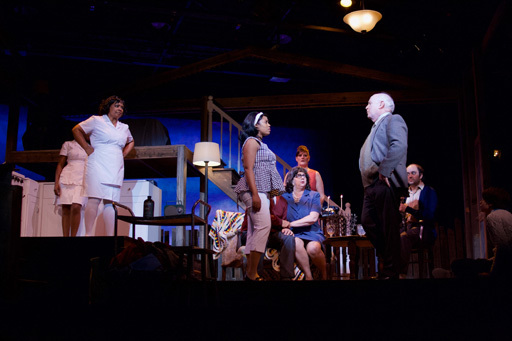 Individually and as company, the cast and crew of “Caroline” rolls out a testament to the caliber of talent in the region and the evolution of Fox Aurora as a top regional venue. At The Aurora Fox Arts Center, 9900 E Colfax Ave.